- Can you become the best goalkeeper in the world? Now with The Goalkeeper game you can! 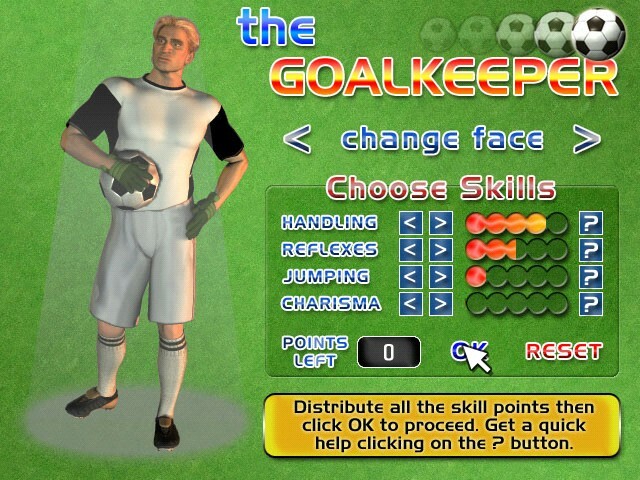 Create your own goalkeeper, choosing between Handling, Reflexes, Jumping and Charisma skill. Then select your starting team from 6 different leagues: England, Italy, Spain, France, Germany and Netherland. 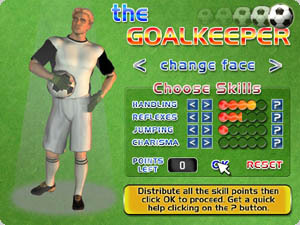 The game features the Training Screen, where you can train yourself to increase your skills and your chances to do well in the next match. Then there's the Statistics Screen, where you can take a look at every possible stats you want! 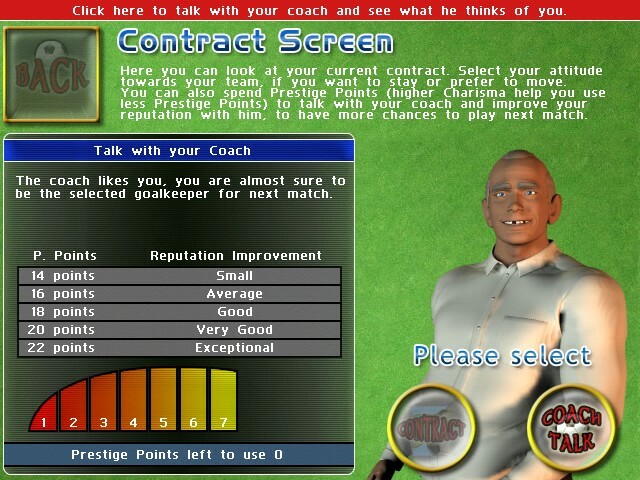 Lastly, the Contract/Coach Talk Screen will let you choose your attitude towards the team, if you want to stay there or move, and also talk to your coach to convince him to make you play the next match (in case he doesn't think that way!). 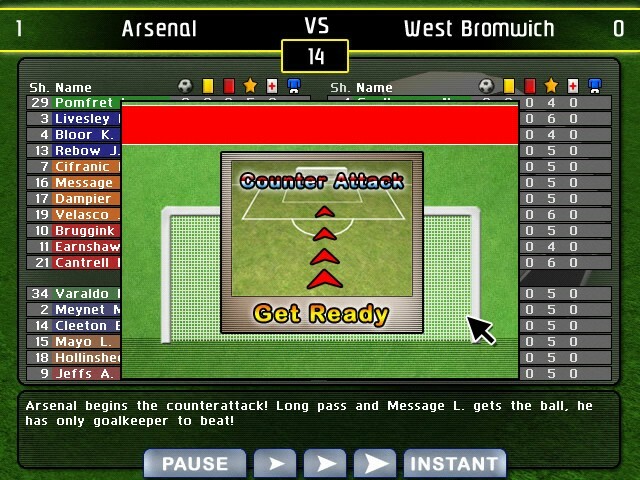 The match itself show stats for each player of both teams, like goals, injuries, substitutions, etc. 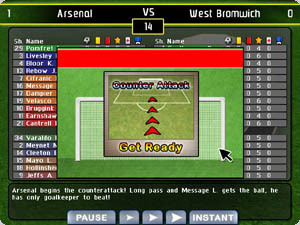 The commentary describe what's going on: when the opponent striker tries to score, you have 3 options: Arcade Save in which you must intercept the ball using the mouse,Strategy Save in which you choose between three options, and Instant Save that, as the name suggests, is calculated instantly.